In the first of a new series looking at raising finance, Danusia Osiowy visits a farming couple who have secured a unique investment thanks to their love for nature. David and Bekka Corrie-Close have entered into farming in a unique way. Their business has been five years in the making and now, thanks to an innovative funding initiative, the husband and wife team are selling their specialist beef in their local community, and they cannot produce it fast enough. But to speed the process up is to simultaneously kill the ethos which lies at the heart of their brand, as their 70-strong herd of pedigree cattle graze for a minimum of three years before being finished. 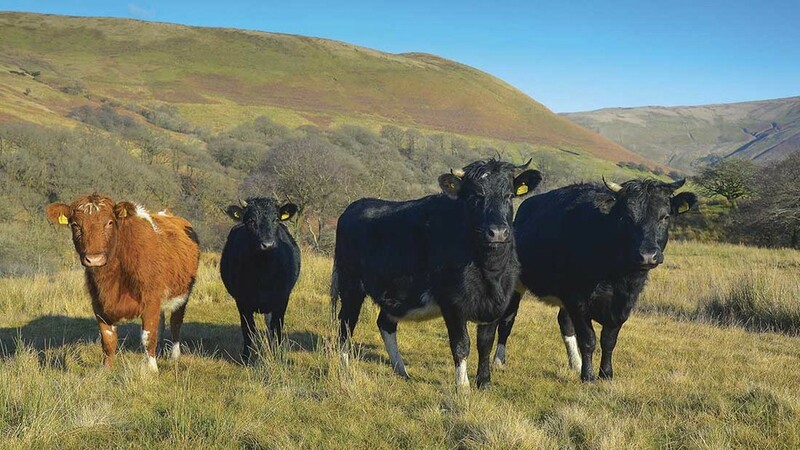 The Horned Beef Company, based in Lindale, Grange, manages a mixture of native breeds across a conservation system split over an area of 405 hectares (1,000 acres). Last September the couple officially launched their brand after securing £20,000 from 20 investors to take the business to its next stage. Each investor has put up £1,000 for three years in exchange for a dividend of beef along with their money back after the period ends. Hailing from Cheshire, David, 30, completed a degree in ecology at Liverpool before taking on various roles in sales and marketing. Then, in 2011, the couple moved to Cumbria, where they realised they wanted to remain permanently. Around the same time the couple secured a 12-hectare (30-acre) rent agreement adjacent to where they were living, so they began putting a few sheep out to graze. After contacting the Royal Society for the Protection of Birds (RSPB) and the National Trust to gain a better understanding of how farming fit in the organisations, David completed a Heritage Grazing traineeship, organised by the Rare Breeds Survival Trust, and was put in contact with livestock conservation grazier Bill Grayson. “I was with Bill for 12 months and it was my introduction to farming,” says David. That was 2013. Over time, the couple have secured grazing contracts with various landlords including The National Trust, RSPB, the Cumbria Wildlife Trust and private individuals. Today their land spans across a 25-mile radius, with some parcels comprising about a hectare (two acres) and the main area reaching 280ha (700 acres). “We don’t look at the stocking density, it is all rough grazing and undesirable land,” says David. “Looking back, it was a risk. We had no money behind us, we had been farming for five minutes and the odds were stacked against us. Bekka, 31, who works four days a week as an ecologist, describes their approach as ‘farming with nature’, as many of the sites are managed for biodiversity, water quality, flood alleviation and other ecosystem services. Some sites are designated SSSI (Site of Special Scientific Interest) and SAC (special area of conservation) and much of the land is challenging and undesirable. You only have to take a 360-degree look round today’s location at Tebay to appreciate the hugely exposed, untainted and mountainous terrain. In such conditions and with each parcel of land checked two to three times a week, its isn’t an enviable task. Bekka says: “One site can take up to a day in bad conditions but we make sure everything gets seen. We know them and their behaviour. The pair were understandably specific in their choice of native breed and began with 12 pedigree heifers encompassing a mix of Shetlands, Galloways, Longhorns, Dexters and Highlands. David says: “We couldn’t just go into an auction and buy for the system we were going to be managing. The cows have to be comfortable being in public access. They need to be able to follow us and be used to people and dogs, so we approached private breeders. After one and a half years operating informally on twice-a-year calving and having established a strong story behind their provenance, Bekka and David wanted to increase numbers and start selling premium beef. But to do this well, they needed to raise capital. The initiative is a type of community supported agriculture scheme where individuals were invited to invest in affordable £1,000 units. The annual return on each individual’s investment is paid in the form of beef and investments will be paid back after three years. The capital they received has been used to buy pedigree registered traditional breeds of cattle and the couple worked closely with local businesses to prepare their first beef for sale in November last year. That month, two cows were finished with a carcase grade of 0+, 4H and 0+4L. Only 24 hours later, all the 5kg mixed boxes, sold at £75 each, had gone to family, friends and local restaurants. The animals are grown slowly, without interruption, and graze naturally on the landscape, being taken to 36 months. They are fed nothing but sugar beet nuts, only as treats, so David and Bekka can find them when they do their daily checks. Bekka says: “Most people will look at it and say no way am I putting animals on there but if you put the right breeds on at the right age they will have good diets. They just don’t grow at the industry rate. The nutritional value of beef is something they are both keen to learn more about and their attention is now focusing on securing their own farm tenancy in the future. Immediate plans are to launch a website, build their social media profile and continue to ensure investors receive a return. This year the couple want to finish at least 10 cows for direct retailing. 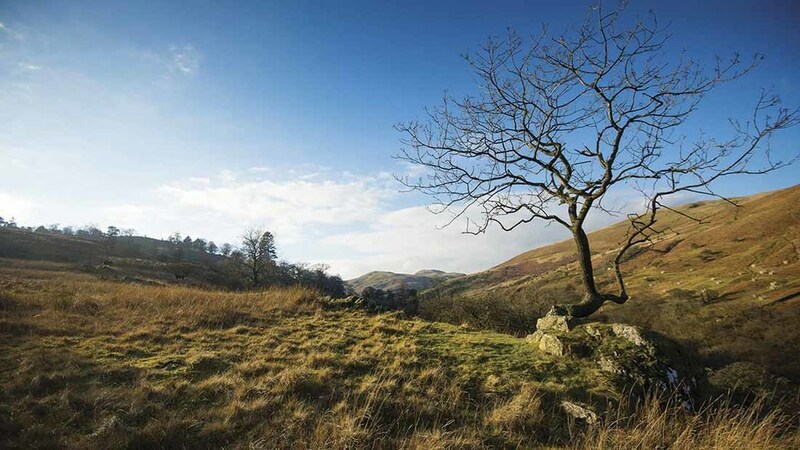 Working with their community also features strongly on their radar and they recently received a grant from the Lake District National Park to plant trees. Working with the National Trust, who will provide the trees, the couple are welcoming wildlife groups, children and other keen volunteers to come and help them plant trees on weekends. David says: “We are one of a few small businesses doing this and delivering a specialist animal grazing system. “I know we are the polar opposite to most farmers and many view the conservation organisations as inconvenient. But I really do believe farmers will need to start adjusting more to farming with our environment. Their approach to farming with nature is certainly not conventional and it would not be sustainable for many, but for David and Bekka it has created a niche and an evolving brand with potential to grow. For them, the system isn’t about making a lot of money as they are more passionate about the landscape and protecting it for years to come. Bekka says: “As long as the beef can sustain David’s wage we are happy. It’s more about a sense of pride. Consumers, often described as CSA members, are closely linked to the farm and the involvement may be through ownership or investment in the farm or business, sharing the costs of production, accepting a share in the harvest or providing labour. The most common produce for CSA farms is vegetables, but they can also include eggs, poultry, bread, fruit, pork, lamb, beef and dairy produce. Farmers receive a more stable and secure income and closer connection with their community and members benefit by eating fresh, healthy, local food, feeling more connected to the land where their food is grown and learning new skills.